I can’t say which honey is the best, but the one made from Black Locust flowers (Romanian: salcim) is really good, with nice flavor and color. So here is how it’s made: in late spring/early summer the bees are collecting the pollen from the flowers and then making the sweet thing. 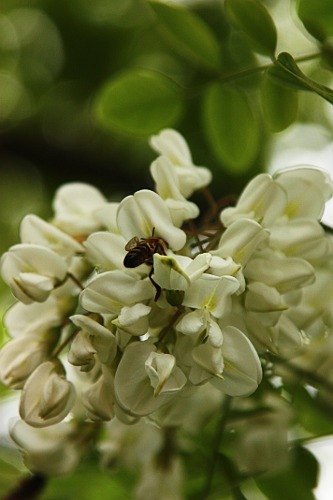 Mmmm… pancakes with black locust honey, aren’t you mouth watering?